In this review we are going to prove that “Unlimited Profit System” or “UPS” is a binary options scam. It is presented by Brian James and Justin Weigel. 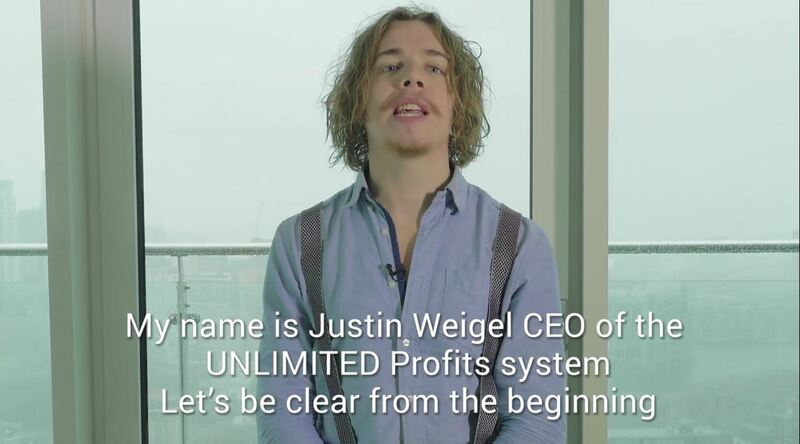 James and Weigel say that Ulimited Profit System is based on an unique trading algorithm that makes it a profitable software. Now you can get the software for free. They say that it can make you $400 – $1,500 per day. These are results that beta testers allegedly reached in 2014. They also say that Unlimited Profit System results are independently verified by a third party. There are some really funny things you can hear from James and Weigel. Like that UPS results are verified by an anonymous party. Really hilarious, would you believe in a verification done by an anonymous party? But who is this third party in the first place? They say Binary Verify but their links lead to VeriTrades. But it does not matter, because both are scams designed to support binary options scam, check out the links to our reviews. In the Unlimited Profit System video James shows you a supposedly live trading session with their system. But it is such a poor fake. For example he says that he let the software trade for six hours, but check the time in the platform, in reality it was one hour. But the main fun comes with the numbers. 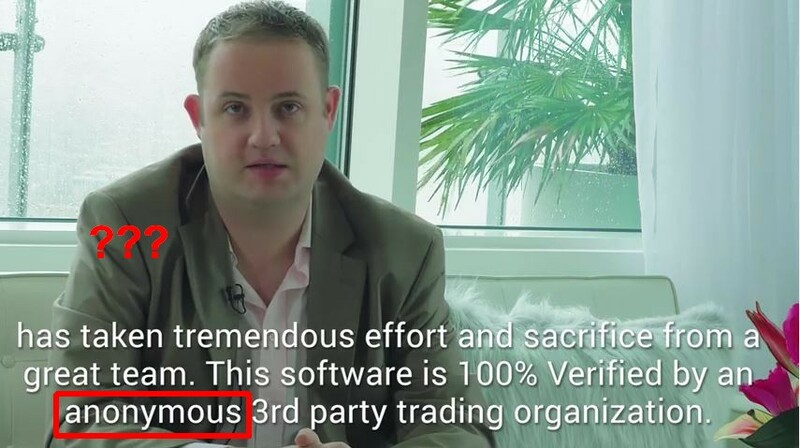 Scammers really don’t know anything about real trading, because while faking their trade history, they edited the numbers in a way that means that the return ratio on short term high/low binary options is 142 % and 144 %. This is of course a nonsense, the typical return is about 80 %. Any return about above 100 % would mean a sure profit, you would just have to open two trades at the same time in opposite directions. So their numbers make absolutely no sense, they are unreal. There is a lot of other things we could pinpoint, but let’s keep this review short. The Unlimited Profits System software is a well known app widely used by scammers. We’ve seen it in dozens of scams, look at the picture on the right, scammers just change colors and logos, that’s it. We have had tens if not hundreds of people reporting that they lost money with this app. Unlimited Profit System (UPS) is just another scam trying to get your money through a worthless trading application, so don’t fall into this trap. On the other hand making money with binary options is very real, but nobody will do that for you for free. The most reliable way leads through testing and building a profitable strategy on a demo account.